These make a great lunch or light dinner for those hot summer days! When the chicken is cooked, cut into bite sized pieces. Mix all ingredients in a bowl. Add Ranch Dressing, to taste. If you like your wraps cold, just cook the chicken and then chill it. 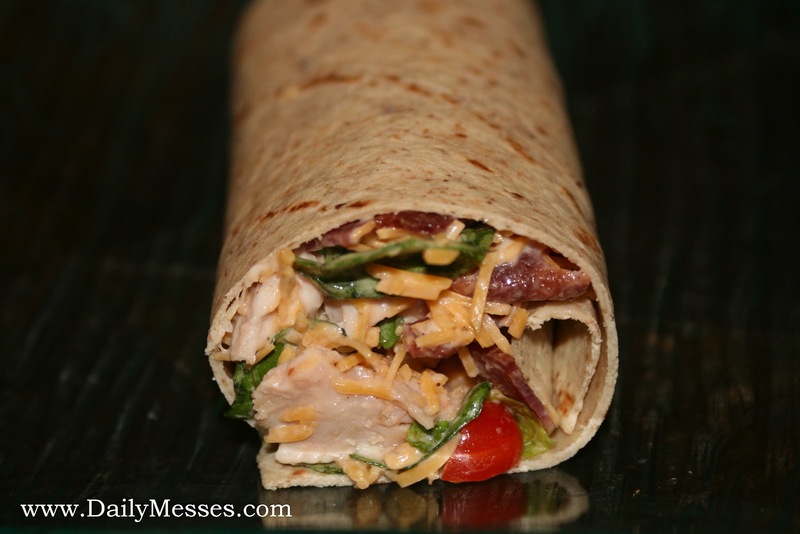 Cut the chicken and assemble the wrap! Pork also works well in the wraps.